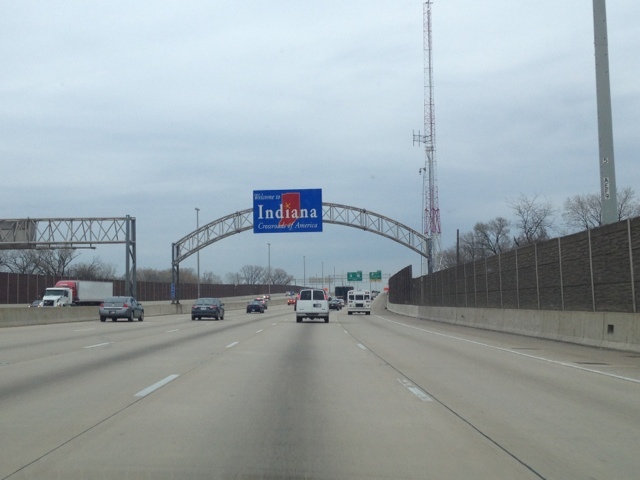 While on vacation, we also spent some time in Indiana. Fun fact: on the highway between Indiana and Chicago, they have signs that report the number of traffic deaths that year. This year while we were there, it was something like 289. We went to Fair Oaks Farms for a late breakfast/early lunch. While the service staff was less than polite, the cheese was to die for! And the ice cream was so rich and yummy! And I couldn't leave without purchasing some Muenster cheese and, possibly my all time favorite, smoked Gouda! Delicious!! 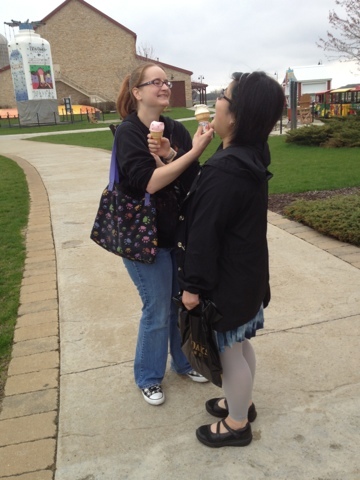 Amie and Krissy being silly while enjoying their ice cream. 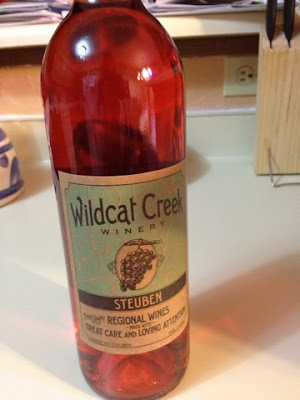 Following the cheese experience, we visited local Wildcat Creek Winery for a little wine tasting and shopping. I tried several different wines: Prophet's Rock Red (a dry red), Chambourcin (raspberry tones, semi-dry), Cayuga White (subtle fruity flavors, semi-dry), Steuben (crisp and fruity, semi-dry), Traminette (fresh and crisp, semi-dry), Lafayette Blush (strawberry tones, semi-sweet), Lafayette White (sweet and light, semi-sweet), and Aunt Minnie's Cherry Tree (cherry notes, pairs very well with chocolate, semi-sweet). My favorites were the Stuben, Chambourcin, and the Cherry Tree. I bought a bottle of the Steuben to go with my Muenster cheese! Perfect. This required Krissy and I to purchase another bag so we could check one. We had to get our wine home, after all! 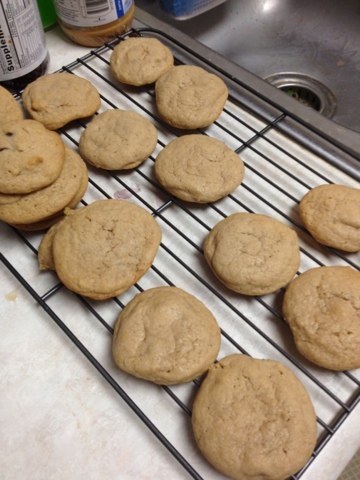 Then we baked our cookies with the rest of the sipping chocolate from KC Chocolatier. Then we accompanied Amie and her boyfriend to their friends' place for dinner and game night. We ate pizza, cheese and crackers (Fair Oaks Butterkase cheese-soooo good! ), wine (Cayuga White, from Wildcat Creek Winery), and some other drinks. 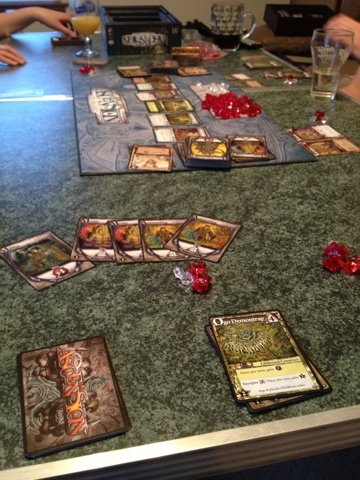 We played Ascension, which I had never played before, but was very fun! Then we played a bit of another game with a really long name that was a bit odd and gruesome. Still fun, but Ascension was my favorite. Then it was time to return to Amie's and finish packing and go to bed! The end! Here is the website for Fair Oaks Farm: fofarms.com. And here is the site for Wildcat Creek Winery: wildcatcreekwinery.com.